Guided by leading dermatologists, Leegeehaam (LGH) undergoes innovative research in order to produce skincare that is safe and effective and targets specific skin concerns. This is reflected by its slogan Beauty is Clever. 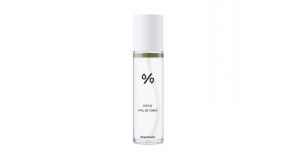 The Grow Hyal B5 Toner claims to deliver long lasting hydration through the 5-Hyaluronic Complex which is said to infuse and fill deep moisturizing into epidermis and dermis. Revitalizes dull and rough skin, leaving it radiant and plump. The formula boasts the Penta-Hyaluronic Complex, the collective term for the five forms of Hyaluronic Acid (HA) it contains, each with a different molecular weight resulting in varying benefits. HA draws up to 1000 times its weight in moisture from the atmosphere into the skin for a hydrated, plump and healthy appearance. Niacinamide (Vitamin B3) helps to brighten skin, improve the appearance of enlarged pores, uneven skin tone, dullness and strengthen the skin surface. Panthenol, (Vitamin B5) is an effective skin penetrator, able to reach into the lower layers for deep skin cell absorption and effective moisturisation. An exotic array of botanical extracts deliver antioxidant, anti-inflammatory and antimicrobial properties while essential oils enhance calming, soothing and cleansing. A clever selection of moisturising agents improve the product’s ability to attract and retain water. The ingredient list has been deemed gentle and without warning flags by both CosDNA and EWG assessments. The LeeGeeHaam Grow Hyal B5 Toner is presented in a transparent plastic cylindrical pump action bottle with protective cap, ensuring hygienic dispensing and permitting easy detection of remaining volume. The toner is clear and quite dense in viscosity. I use a generous 2-3 pumps for full face and neck coverage after cleansing or following an acid toner. It glides on effortlessly and absorbs fully after a minute or two. Any initial tackiness quickly dissipates, as does the mild botanical scent. 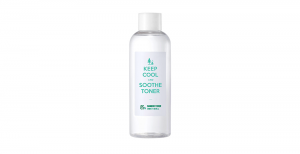 I find this toner too complex to practice the 7-skin method, in fact anything more than a couple of layers feels too heavy on my combination skin. This ensures product longevity since only 1-2 layers are required to achieve a satisfying level of hydration. The HA complex together with a high concentration of Glycerin and a seemingly good dose of Panthenol deliver notable moisture to the skin. The anti-inflammatory properties of botanical extracts help to soothe, making this toner not only hydrating but somewhat healing. With continuous use, I have noticed a reduction in patchy redness for an overall more even skin tone. A likely contributor to this outcome is a good amount of Niacinamide which must be at least partly responsible for a boost in brightness and a reduction in skin dullness. Collectively, these effects have resulted in overall healthier and plumper looking skin, just as claimed. I have enjoyed using this product. It works beautifully when coupled with the brand’s Grow Tea Tree 70 BHA Toner too. A full review of this product is available here. The Hyal B5 toner can be purchased at Style Korean. 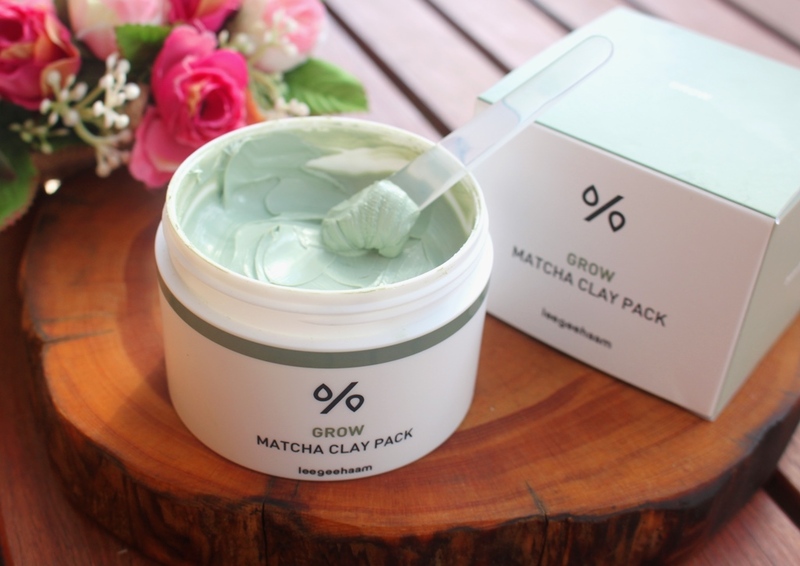 The Leegeehaam Grow Matcha Clay Pack claims to be a wash-off clay mask with antioxidant-rich matcha to purify and detoxify dull skin. It is also said to help tighten enlarged pores as it dries, revitalising and enhancing skin smoothness. 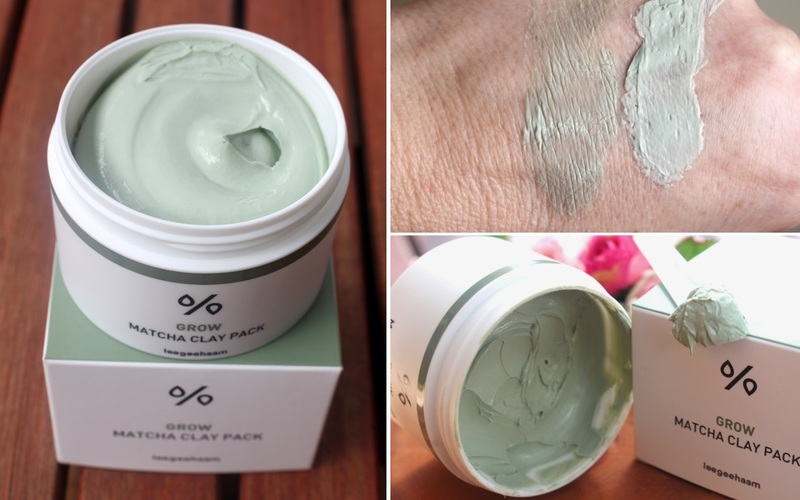 Clay is great for acne control and this mask includes four varieties, Kaolin, Montmorillonite, Green Clay and Bentonite. Together they deliver a super detoxifying effect with their ability to absorb excess sebum and draw out impurities from the skin for clean pores. Matcha is a potent form of green tea, packed with a high concentration of EGCG, a revered catechin and one of the strongest and most beneficial antioxidants. It fights free radicals which damage cells as well as displaying good anti-inflammatory properties for calm, healthy skin. Essential oils contribute antiseptic, toning and cleansing properties which also help to eliminate acne while several moisutrising agents are included to minimise the drying effect of the clay. The clay pack comes in an opaque plastic tub with protective cover, screw top lid and dispensing spatula. Its scent is light and quite unique, most of it contributed by the peppermint oil and clay. The consistency is dense but sufficiently smooth so you can dictate the thickness you want to achieve. A thin layer will dry in around 5 minutes so it can be a very effective, quick detoxification. Alternatively, a thicker layer will take longer and is likely to also provide more antioxidant benefit since the matcha is on your face for longer. This mask tightens a lot. As soon as it starts to dry you can feel it pulling your skin, drawing all the excess oils and impurities from your pores. It is like a vacuum cleaner for your face. It pays to take it off before it is fully dry as otherwise it may result in increased redness, irritation or skin dryness. It’s easily removed with a warm wash cloth or rinsed off under the shower. I find this mask leaves my skin fresh, smooth and clean. Given the strength of the drawing action it is surprising that my skin feels adequately hydrated and not dry after removal. It seems the balance of clay and moisturisers in the formula is ideal. Those with oily, combination and acne prone skin will love this mask. Given it doesn’t dehydrate the skin, it should technically suit everyone, provided they don’t extend the recommended wear time. Those sensitive to essential oils should patch test first. A full review of this product is available here. The mask can be purchased at Style Korean. The Leegeehaam Vita Propoulis Ampoule claims to be a multi-tasking ampoule which provides skin nourishment and brightens dull skin tone, leaving it revitalized, radiant and supple. This ampoule comprises an impressive 50% Propolis Extract which has been used medicinally to help heal wounds for centuries. Rich in flavonoids, propolis displays powerful antibacterial, antifungal and antiviral properties. Its high antioxidant content assists to keep free radicals from causing cell damage. It works to regenerate and moisturize skin, helping make it smooth, supple and hydrated. It also assists to balance skin oils so is a good acne treatment. Other contributing factors that help deliver its claims include Portulaca Oleracea, an excellent source of antioxidants and omega-3 fatty acids, 10% Sea Buckthorn Extract, a skin super food comprising Vitamins C and E, folic acid, carotenoids, omega fatty acids and flavonoids and 26% Witch Hazel and Gotu Kola Extracts which boast potent antioxidant properties, anti-inflammatory benefits and promote new cell growth. 20% of the ampoule is represented by Panthenol (vitamin B5), a humectant which also offers soothing effects; Niacinamide (vitamin B3), which visibly improves the appearance of enlarged pores, skin tone, fine lines and dullness; and Ethyl Ascorbyl Ether (Vitamin C), which delivers excellent whitening, antioxidant, antibacterial and anti-inflammatory properties. 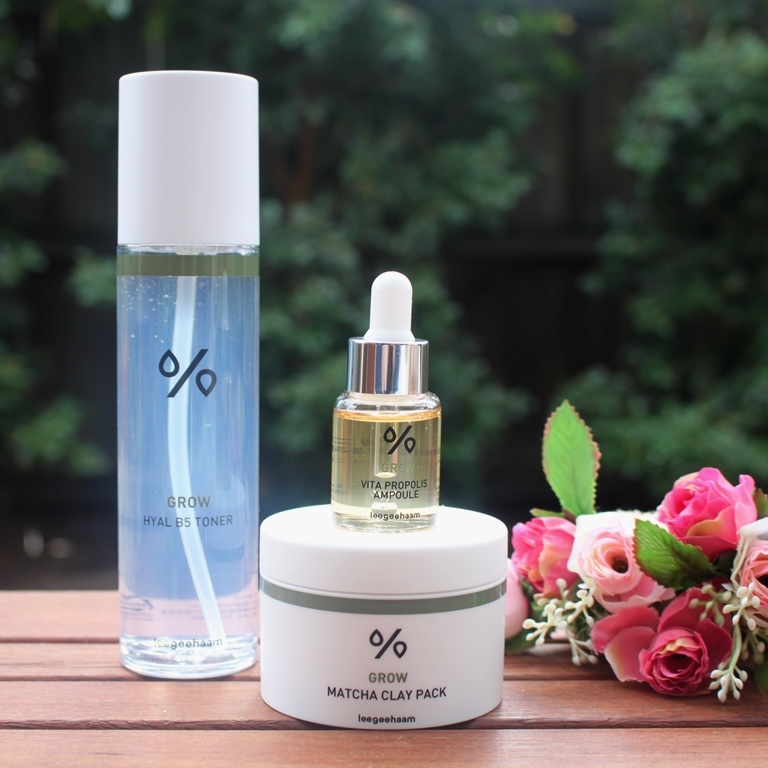 Finally, Sodium Hyaluronate provides skin hydration with its water retention capability. All up, this compact formulation of only 16 ingredients presents a powerhouse of skin foods. Presented in a tiny 15ml dropper bottle, thankfully, a little of this precious liquid goes a long way. You only need 2-3 drops to cover the entire face. The ampoule has a pleasant golden colour and is more viscous than water. I pat it into my face or alternatively mix it with serum or moisturiser. Any tackiness it might produce is unimportant as it is covered by subsequent layers or combined with them so takes on their absorption qualities. 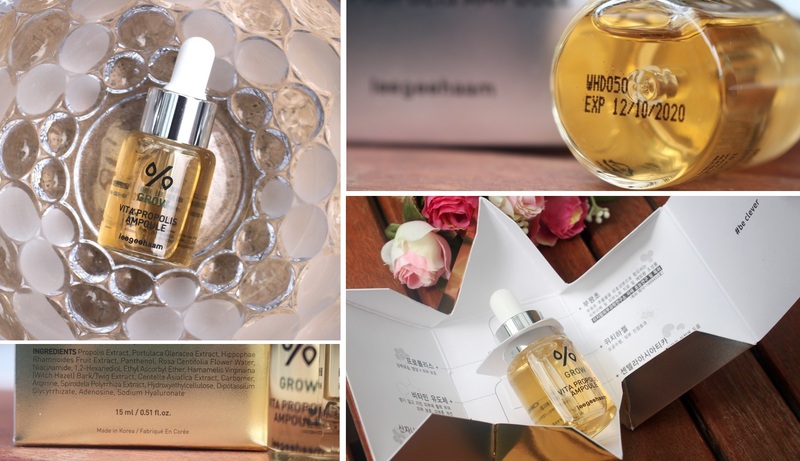 The ampoule is gentle, as indicated by the outstanding ingredient analysis and low hazard CosDNA and EWG ratings. Oily and acne prone skin will benefit from the pore detoxification and balancing of facial oils provided by both the propolis and sea buckthorn extracts. The strong protective properties of antioxidants and anti-inflammatory ingredients will help soothe and protect sensitive skin. 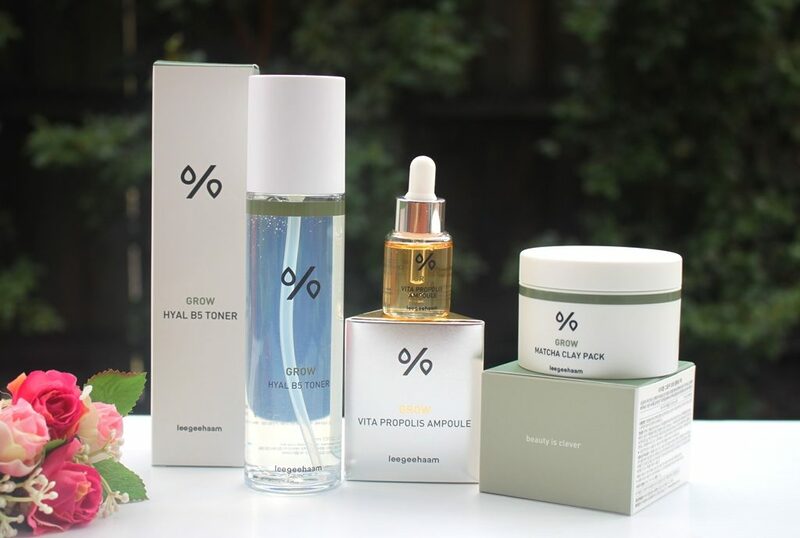 Mature and dry skin will appreciate the hydration provided by the propolis, panthenol and sodium hyaluronate whilst sea buckthorn as well as Vitamin C and portulaca oleracea extract will also deliver anti-ageing benefits. Of course, normal skin will just soak it all up. As for results, tone and texture improved almost instantly, my skin looking brighter and smoother and exuding a natural, fresh glow. I found that the increased smoothness of my skin went hand in hand with improved softness. I didn’t see any change in fine lines and wrinkles although their appearance is probably diminished by plumper, smoother skin. 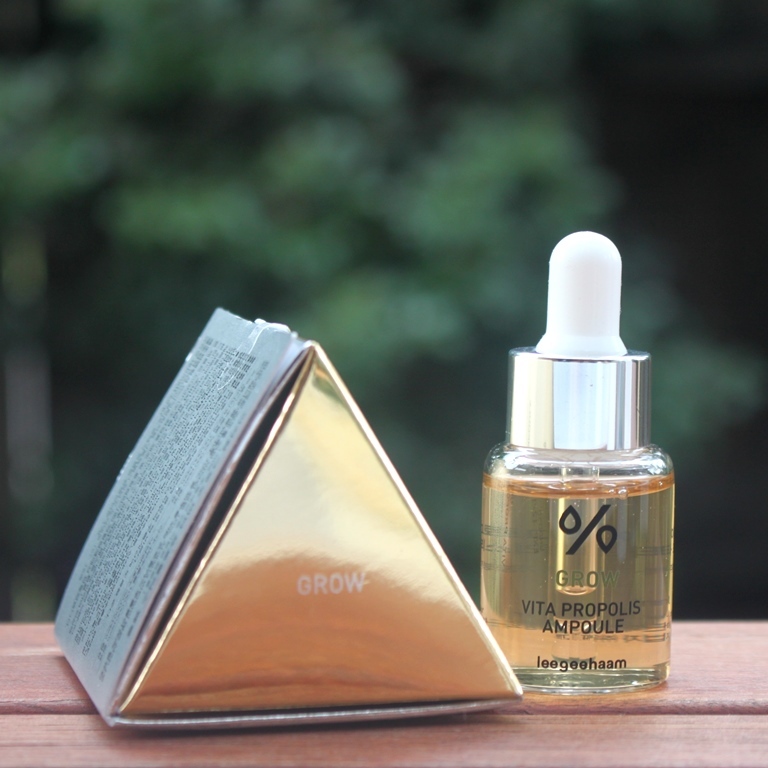 This ampoule is a game changer! A full review of this product is available here. 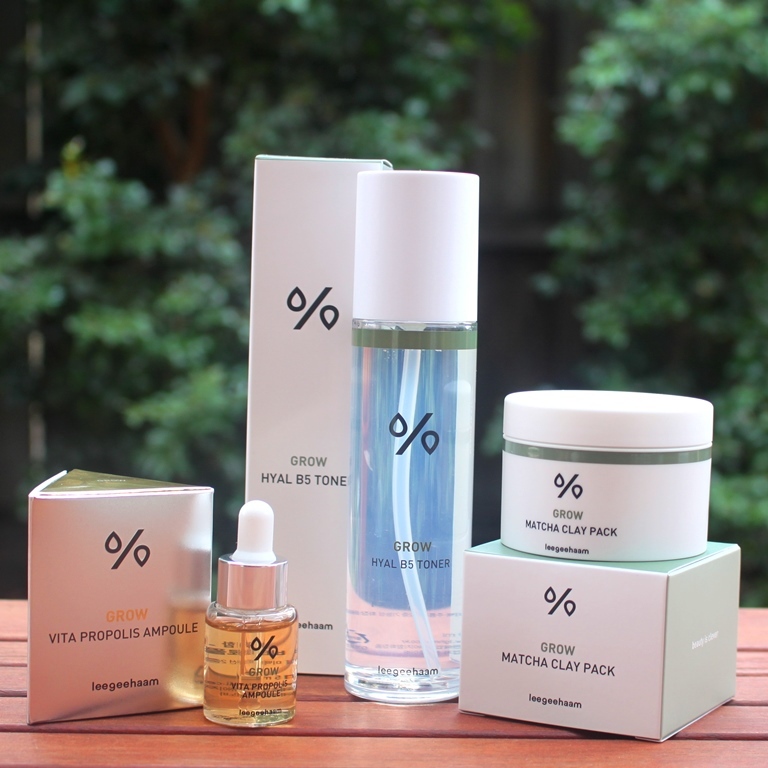 The ampoule can be purchased at Style Korean. A superb list of ingredients across all three products, anticipates results to match. These three products from LGH did not disappoint, rather delivering high quality, gentle and effective skincare that I will continue to use and source in the future. The Leegeehaam Try Me, Review Me Skincare Set was provided to me free of charge by Style Korean for review. This post only includes my honest opinion and experience of these products and is in no way influenced by Leegeehaam, Style Korean, any of their representatives or any other third party.